As you have known by now, I am currently running a series of posts inspired by Andy Warren’s editorial in SQLServerCentral.com on the "Underappreciated features of Microsoft SQL Server". Continuing our journey through some of the features of Microsoft SQL Server Management Studio, we will today look at a feature that I am sure will increase developer productivity by leaps and bounds. Per Microsoft SQL Server Books On Line, Template Explorer is a component in SQL Server Management Studio that presents templates to quickly construct code in the Code Explorer. The templates are grouped by the type of code being created, which in turn makes finding the right templates blazingly fast. To launch the Template Explorer launch the SQL Server Management Studio and simply use the Ctrl+Alt+T keyboard combination or go to View->Template Explorer. 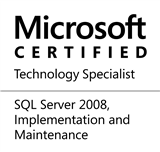 NOTE: On SQL Server 2008, the first time the template explorer is opened, a copy of the templates is placed in the users Documents and Settings folder under Application DataMicrosoftMicrosoft SQL Server100ToolsShellTemplates. For the purposes of this example, we will attempt to create a new stored procedure using SQL Server templates. All one needs to do is to navigate out to “Stored Procedures” folder in the Template Explorer and double-click on “Create Procedure Basic Template”. As you can see, our basic script is now ready for use in just 3 steps! NOTE: When defining parameters, the data type and value areas must be present, but can be blank. According to me, Template Explorer is one of the most powerful productivity enhancing tools after Intelli-sense. For those who are still using Microsoft SQL Server 2005, Template Explorer is also available there. To all the DBAs reading this, if you haven’t already done so, please create your own templates as per your organization’s standards. Once done, please distribute these amongst developers and train them on how to use the Template Explorer. I am sure developers will love to use this feature of Microsoft SQL Server. Do share the feedback that you receive from the developers. This entry was posted in #SQLServer, Blog, Imported from BeyondRelational and tagged #SQLServer on January 24, 2011 by nakulvachhrajani. In Template Explorer, is there any Templates for Pre-Defined Functions like Getdate(), Substring() and Row_number().